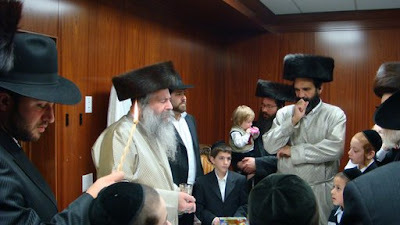 Before my meeting with the Sudilkover Rebbe, I asked him about the a teaching supposedly attributed to the Arizal and the Vilna Gaon in which it says that a person can uncover the purpose of why there neshoma was sent down to this world by looking into the parsha and section corresponding for the day they were born. 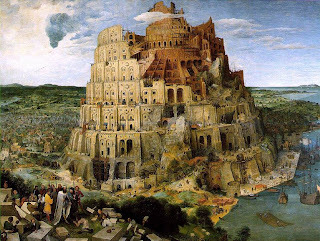 He told me in a phone conversation that the issue of one's tikkun and its connection to the parsha is an extremely complex issue and he said he wanted to speak with me in depth before he could give me his opinion. I told the Rebbe that I was born on Friday, 25 Kislev 5733 and that this corresponded to the shishi section of Parshas Vayeshev. When I took a look in a Chumash at this section, I found that it dealt with the temptation of Yosef HaTzaddik by Potiphar's wife. 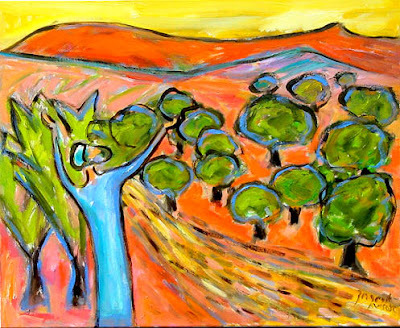 For me, it appeared that there is certainly a connection between my suggested tikkun in Parshas Vayeshev, shishi and what I perceived one of my greatest taivas to be. While I never outright slip in this area, in the area of shmiras einayim sometimes I let my eyes linger one second too long or let a thought linger too long before pushing it out of my mind. I know that for me this taiva continues to be a challenge that is difficult to uproot for me. When we broached this topic in our three hour conversation, the Sudilkover Rebbe asked me how my relationship was with my wife. I replied that it was fantastic and that I was blessed to have such a wonderful wife. 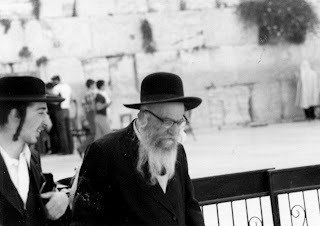 The Rebbe then asked me if my wife knew that I felt this way and asked whether I ever expressed these feelings to my wife. I replied in the affirmative; that I told her every day. 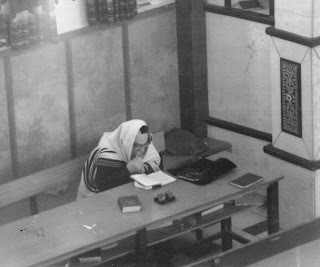 The Rebbe told me that he had asked me this question, because if indeed my tikkun was bound up with this taiva, I would have answered that indeed there were problems between my wife and myself. The Rebbe then told me that the Arizal said this taiva is something that every person struggles with since it is THE nisayon of our generation. The Rebbe related that the Arizal taught that the neshomas of our generation are actually gilgulim of neshomas from the Dor HaMabul (generation of the flood) and Dor Haflaga (generation of dispersion after the tower of Bavel). These generations were characterized by the depravity they exhibited with matters between men and women and it thus no wonder why our generation struggles so greatly with these issues. 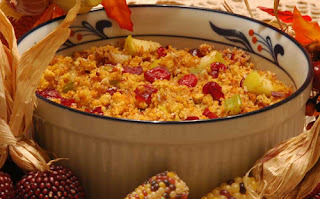 He said that while I might interpret Parshas Vayeshev, shishi as applying specifically to my life, that it was not so simple since it applies to everyone; that what I interpreted as a suggested tikkun was not necessarily the case based upon the fact that I had a healthy and loving relationship with my wife. Our conversation on this topic ended and never got around to identifying the tikkun. Instead we returned to speaking about the necessity of finding only the good points in everything. The following is an excerpt from a sefer on the teachings and minhagim of the Tzanz-Klausenberger Rebbe zy:a. I include the original and my own rough translation (which excludes the Kabbalistic middle section which was tough and perhaps best left untranslated anyways). סד: כתב בספר קרבן שבת פרק א' סי' ז', כתב ב"י בסי' הנ"ל [רנ"א] בשם הכלבו שישחיזו הסכין בכל ע"ש וכו', ודע מ"ש בתיקונים ישנים והביאו ג"כ בעל טוב הארץ ובעל חסד לאברהם שיש סכין מצד הקדושה בלי שום פגימה וכו' ויש סכין פגום מצד סמאל הרשע וכו' ולכן נ"ל שאיו מהרוי לאכול אכילה בשבת בסכין פגים כי הם סתרי אהדדי שאכילות שבת יורה על אור עה"ב שאין אז שליטת חיצוניםת וסכין פגום יורה על שליטת ס"מ וחייליו החיצונים [ז"ל התיקוני זוהר תיקון כ"א דף נ"ט ע"את מאי סכין פגום דא סמא"ל וכו"ת עיי"ש], עיי"ש. יכ"ה בספר חסד לאלפים סי' רנ"א ס"ד, בשם המקובלים שטוב להשחיזו עד שלא ישאר פגם, אשרי מי שיוכל לעשות. ובדרכי הישר והטוב המחובר לספר הישר והטוב, להרה"ק רבי צבי מליסקא זי"ע ,דף ל', כתב,סיפר לי השו"ב הנ"ל ז"ל שפ"א נתן לו אא"ז [מליסקא] זצ"ל הסכין של שבת לחדדו, וכאשר נביאו לו בחזרה, הי" בודקו בציפרנו כמו סכין של שחיטה, אבל לא היה מחודד עד"ז, ופעם השנית שנתן לו הסכין לחדדו הי' מעמידו על חד וחלק, וכאשר הביאו לפניו בחזרה הי' שש"ז זצ"ל בודק אותו ומצאו טוב בעיניו, וכן היה אח"ז תמיד שהי' נותנו לחדדו. Our Rebbe was extremely particular not to slice with a knife that wasn’t smooth or that was made serrated. It is written in the Sefer Korban Shabbos, Chapter 1, Seif 7, “The Beis Yosef writes in the chapter cited in the name of the Kol Bo that one should sharpen the knife on every Erev Shabbos, etc. And know what is written in the Tikkunim Yeshanim and is also brought by the author of Tov HaAretz and the author of Chesed l”Avraham that there is a knife from the side of holiness without any defect etc, and there is a defective knife from the side of the wicked סמאל etc. And therefore it appears to me that it isn’t appropriate to eat food on Shabbos with a defective knife because there are secret……………. 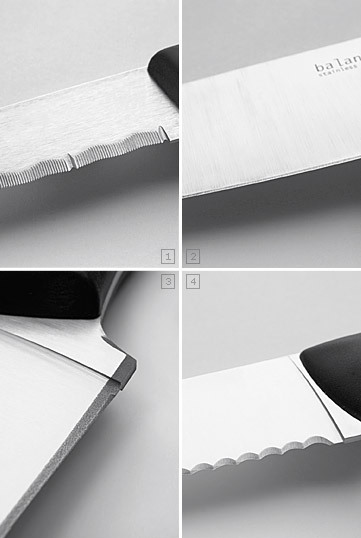 In the sefer Chesed l’Alafim 351:4, in the name of the Kabbalists, that it is good to sharpen until there does not remain a defect, and fortunate is the one who is able to do so. And in the Darchei HaYashar v’haTov relating to the Sefer HaYashar v’haTov, by Rebbeinu HaKodesh Tzvi M’lysqa zy”a, page 30, he writes “It was related to me by the aforementioned shochet that one time my father gave to him the knife for Shabbos to sharpen, and when he brought it back to him he checked it with his finger nail like a slaughtering knife, however it was not sharpened that much, and the second time he gave it to him he continued until it was sharp and smooth, and when he brought it back before him he checked it and found it good in his eyes, and so it was afterwards every time he brought it to him for sharpening. Dixie Yid: Should one be mafsik his tefillah for Bomb Sniffing Dogs? The sweat one exudes in the process of preparing for Shabbos has the same quality as tears of remorse; the sweat, like tears, wipes away all sins one committed during the week. The harder one works on Shabbos preparations, the more he gains. Reb Luzer Kenig once said amazing, that one should feel “taanug olam haba” in bizyonos. He said they can come from someone else, even from your family (a spouse for example). The first reaction of a person is to dismiss it altogether, regarding the abuser as nothing, thus reducing the “blow” as a protective psychic reaction. However, Reb Luzer said this is not a correct approach. 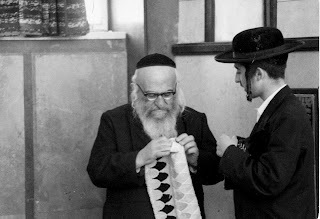 The Rebbe says that the bizayon cleans the person's yetzer hora. Therefore one must feel it, and not just dismiss it thereby missing the point. This can be done by giving some value to the mevaze (abuser). One shouldn't necessarily agree to mevaze (who can be very wrong really), but giving it some value causes the needed effect. Now one can ask, very good, but how can this possibly be “taanug olam haba”? In the most, it can be considered as a bitter medicine, which has to be tolerated. But being enjoyed? But if one thinks more into it, what is happening in the process? 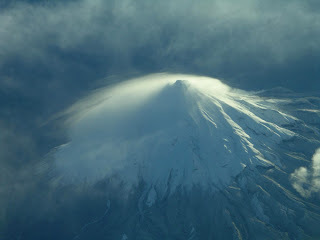 One becomes more pure, and is coming closer to Hashem. That is really “tanug olam haba” in a sense. What we can lack here is daas – the perception of it, and on this we must work to get it. "The Aramaic language is certain to subjugate the Sitra Achra and break its strength, elevating the glory of the Blessed Holy One. It breaks powerful locks, fetters, chains, and all klippos. Hashem then remembers His name and His children." With better understanding of its importance, I now have a renewed appreciation for what I am doing each week by reciting the Targum in this language that I don't understand. A new aquarium in the place where our television once sat. A religious man is a person who holds God and man in one thought at one time, at all times, who suffers no harm done to others, whose greatest passion is compassion, whose greatest strength is love and defiance of despair. If we are not supposed to rely on miracles, what did Yosef do wrong by asking the chief wine steward to help him get out of prison? While keeping in mind that Hashem is exacting with tzaddikim and that a tzaddik must have rock-solid emuna and bitachon, how was Yosef to know that the chief wine steward was not the rope Hashem was throwing to him to rescue him? Should Yosef have waited for a bas kol or relied on his ruach hakodesh to determine when he would be released? This question, of course, is not only a matter of Biblical commentary; it is a major issue in all of our lives. How do we balance the conflicting values of bitachon and hishtadlut in our daily lives, in issues such as parnasa (vs. learning), shidduchim, medicine  and a host of others? The Netivot Shalom continues, when [a Jew] trusts in HaShem all the gates are open to him…if he reaches the highest level of bitachon he requires no hishtadlut, if not, he still requires some hishtadlut, it is all according to the level of each individual. 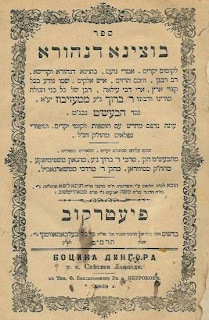 A short but systematic treatment of the topic of bitachon and its balance with hishtadlut is found in the Chazon Ish’s Emuna u’Bitachon. 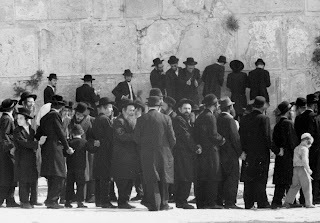 Firstly the Chazon Ish distinguishes between emuna (belief) and bitachon (faith). While both are dependent upon the belief that everything that happens in the world is absolutely in G-d’s hands and that nothing is coincidental, the former is a general (and theoretical) belief. However, when one finds himself in a situation of uncertainty, testing his belief, at that point, his bitachon must come to fore, to guide him in this particular, practical test. If his belief that all is in G-d’s hands is powerful enough to remove his fear (since he knows that all options are equally open to HaShem) he has passed the test of bitachon. Here the Chazon Ish also admits of a range of levels, with the master of bitachon turning to teshuva, whereas one of lesser faith will seek out natural means of salvation. But how are we to navigate this unclear path? Even the Chazon Ish admits that some acts constitute permissible hishtadlut, whereas others are prohibited according to bitachon. Before engaging in any activity we need to judge if it is in accordance with bitachon. This of course brings us back to the story of Yosef. The Chazon Ish explains the Midrash as teaching us that Yosef’s act constituted zilzul, making light, of bitachon. But how could such a tzaddik have fallen into this trap? The answer is that Yosef knew that his salvation was not dependent upon hishtadlut, but that all was from HaShem. However, since one is enjoined to act and not to rely upon miracles, Yosef forced himself to ask the butler. If so, what was inappropriate about his behavior? Yosef knew that the butler was a haughty individual, and therefore could not realistically be expected to help him. Thus his turning to the butler was not a serious act of hishtadlut, but rather an act of despair, in which one grabs at any ridiculous option for salvation instead of relying upon HaShem’s exclusive powers of salvation. This type of “hishtadlut”, according to the Chazon Ish, is prohibited. 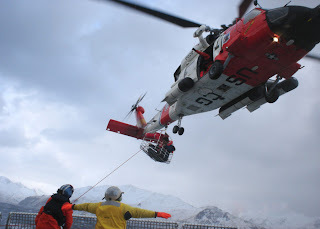 Hishtadlut is required; we are not supposed to rely upon miracles. However, certain acts are so far-fetched that they are disqualified from the category of true hishtadlut. There are no simple answers here. This remains a very individual issue. While we must strive to be baaley bitachon, people of faith, we must also be honest regarding our true level. We must certainly be careful not to fall into what the Chazon Ish calls bitachon hamizuyaf, false bitachon. For most of us, honest and reasonable hishtadlut, combined with an acute awareness that the results are ultimately in the hands of Heaven , would seem to be most viable path. See the comment of the Maharzu, who points out that Yosef always relied exclusively upon HaShem. Just this once he relied on a human and was punished. While it is beyond the scope of this drasha to elaborate, I wish to point out that seemingly conflicting opinions are found within the Talmud and Midrashim. Rav Tzaddok HaKohen preceded him with this idea in Pri Tzaddik, Vaera 4. The Meor v’Shemesh goes further and states that in the Biblical narrative it seems as though Yosef relied exclusively upon the butler, not turning to HaShem at all! A similar answer is given by Rav Yitzchak Ginsburgh in Maayan Ganim, who also sees this as a paradigm for the various scenarios for Am Yisrael’s future deliverance. For other Chassidic comments upon this Midrash see Sfat Emet in several places, and the Piaseczner in Derech HaMelech, Miketz (1). See also Rebbe Nachman’s short story Maaseh M’Bitachon. On the issue of hishtadlut in medical issues, see the Rambam, Commentary to the Mishna: Pesachim 4:9, who absolutely insists upon the use of medicine. See also the Ramban, in his comment to Vayikra 26:11, who views medical practices as a bidieved, showing a of lack of bitachon See also the Rambam: Guide 3:51 on the interface of devaikut and hashgacha pratit. See the fascinating Halachic discussions of Rav Moshe Feinstein regarding insurance in Igrot Moshe O.H. 2: 111, 4: 48. For Rav Moshe insurance is in the same category as other business activities that he sees as not only permissible, but also obligatory. It is not only prohibited to rely upon miracles, it is also prohibited to pray to HaShem for a miracle for parnasa. While one must believe that ultimately his parnasa comes from HaShem, not from his hishtadlut, he is absolutely required to work for a living through natural means. In relation to insurance, his bitachon is expressed in that he has faith that he will be able to keep up with the payments! This slim volume is the only published work of the Chazon Ish that deals with philosophical topics. Chapter two is on Bitachon. For a detailed Mussar treatment, see Madregat HaAdam of the Nevordeker, Maamar Darchei HaBitachon. Chapter Four deals with the story of Yosef. Incidentally, Chapter Six discusses the issue of bitachon in relation to the Shmita Year. 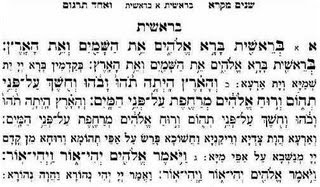 See the [attributed to] Ramban, Sefer HaEmuna v’haBitachon, chapter one, anyone who has bitachon is called maamin, but not all who believe are called botaach. Emuna is like a tree and bitachon is like the fruit. Just a few days before my teacher Rav Shagar zt”l died of cancer last spring, he remarked that the possibility of a miracle was still a completely realistic option. Shortly before looking in the Chazon Ish, I heard an almost identical explanation from my cousin, Reb Shaya Britz. This Bitachon hamizuyaf is, in his opinion, much worse than no bitachon, and often leads to a chilul HaShem, whereas true bitachon is a Kiddush HaShem. “Real” bitachon, according to his words, is often revealed to be false when tested in situations of competition between people. The phony will plot the downfall of his rival (in spite of his “bitachon” that all is from HaShem), whereas the true man of faith will help his competitor. 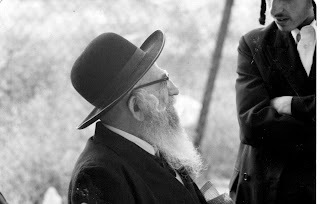 It is also worthy of note that whereas the Chazon Ish is often credited with the revolutionary approach that encourages all men to study in kollel for as long as possible after marriage, he also encouraged them to send their wives out to work to support their families. For all that can be stated regarding this approach, it clearly recognizes the fact that someone has to work! We are therefore enjoined while engaging in hishtadlut, to constantly augment it with sincere and intensive prayer as well. May HaShem guide us to serve Him in truth. 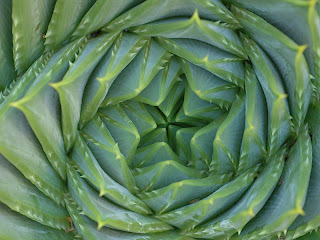 May we merit receiving all of our spiritual and physical needs and clarity regarding what is happening in our lives. I would like thank Rav Yaacov Moshe Poupko and Rav Meir Munitz for fruitful discussions and sources on this topic. Jealousy can cause so much harm that one must be very careful to avoid it. 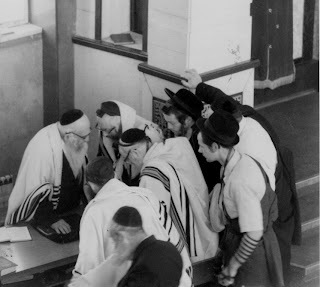 "And One From The Side Of Gevurah"
I had the great zechus to daven in the vasikin minyan with Reb Levi Yitzchak Bender z'tl each day for 5 months during the spring/summer of 1979. 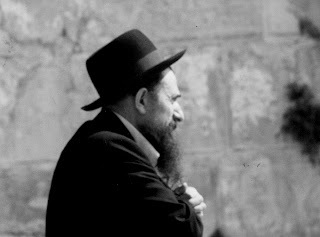 Many of those days, I would accompany him to the Kosel on the #1 bus following davening. 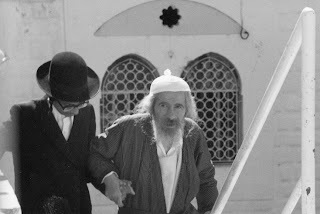 At that time, Reb Levi Yitzchok z'tl was fully independent -- his eyesight had not failed yet -- and vigorously rejected any trappings of 'rebbishkeit'. He shopped, rode the bus, walked himself, etc. 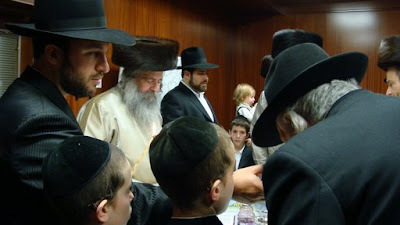 One day, I decided to photograph him during davening so that I could record it for posterity. 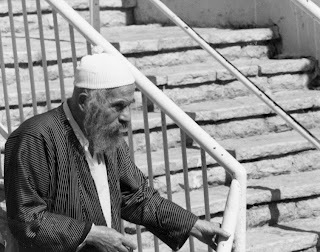 Reb Levi Yitzchok never made a fuss when he was photographed, but having spent time with him, I knew that he was pained by the process. I was also reluctant to disturb the davening. 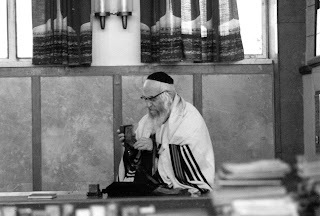 So, I borrowed a camera with a telephoto lens from a British chaver in the Mir and took this series of pictures from the (empty:)) ladies section of the shul. You can see from the pictures that the quality improves as davening progresses. this is due to the improved lighting conditions as sunrise approached. 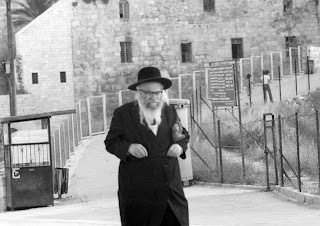 Reb Levi Yitzchok never saw the camera -- although a few of the mispallilim did!!! Those who study Torah literature on personal development and make a genuine effort to live up to Torah ideas are very likely to look at themselves and feel they are from where the Torah says they ought to be. Even after years of effort trying to improve oneself, one may scrutinize oneself and one's behavior carefully and feel that the Torah itself would condemn one. It may be that one has done, and continues to do, much that is wrong. One's behavior and personality may be far from what the Torah asks. 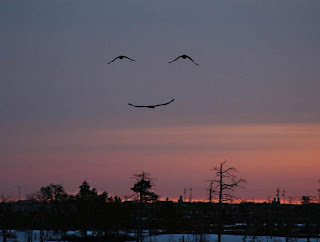 Nevertheless, it will not help to get depressed about it. Instead of dwelling on one's bad points and failures, one should try to find good points and mitigating factors. 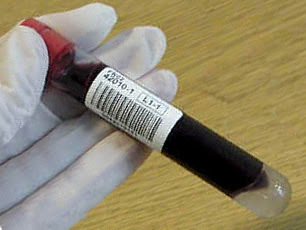 Guest Posting By Chabakuk Elisha - Another Kind Of "Blood Libel"
Recently I was sent a link to an article on the Revach L'Neshama website discussing the "chumra" (stringency) about not taking a blood transfusion from a non-Jew, and Rav Chaim Kanievsky's defending it against the possible charge of being called a "minhag shtus" (a foolish or baseless practice). My first reaction to this article was annoyance, anger, and disgust – but I'll get back to that. Let's start with the concept of "minhag shtus." I don't know what this really means, since any minhag practiced by respected Jewish leaders becomes legitimate by definition. Therefore, although we find the term used occasionally in Shulchan Arukh, the "minhag shtus" card is hard to play. Once we try to apply it, we are forced to qualify our words, saying that those who follow a particular custom do so "in a foolish manner," etc. I'd rather not take the bait. Rather, I try to avoid using the phrase (as much as I would like to sometimes). The issue is not whether or not a source for such a chumra exists. (In fact, the source offered by the author of this article looks like a case of painting the target around the arrow. We have no idea if this Gemara had anything to do with the Rav's request.) The real issue comes down to an individual's hergesh, a subjective feeling – and this feeling is based on the concept of kedushah, separating between the sacred and the mundane. However, this concept, too, is not as easily understandable as it may seem at first glance, especially in this day and age. Jews are called kadosh (translated "holy"), which actually means "removed," "distant," "separated." 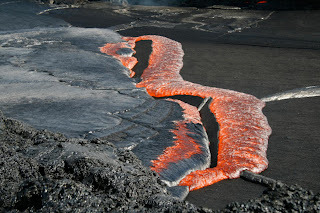 For whatever wondrous reason known only to G-d (Rabbi Nachman of Breslov calls it a "segula" – something that transcends human logic), the Jew was chosen, separated from all the nations, and given a specific role, as we say in davening on Yom Tov: "Atah vechartanu – You, O G-d, have chosen us / selected us from among all the nations." So, yes, we believe that we are the "chosen people" -- but what does this mean? 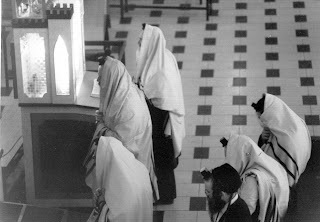 Rabbi Sears explains in his "Compassion for Humanity in the Jewish Tradition" (p.111): 1) The doctrine of the Divine election of Israel does not deny that any other individuals may establish a profound relationship with G-d. 2) It neither dehumanizes the "unchosen," nor does it set them up to be exploited (G-d forbid). 3) This doctrine in fact has its own universalistic implications. Judaism eschews any religion or path that rejects G-d, and takes a critical view of those who follow such doctrines. According to many authorities (among them, Rabbi Yaakov Emden), Christianity and Islam are included among the paths that accept G-d, and we therefore do not regard them in the same negative light as certain other religions. Paganism, polytheism, and atheism, on the other hand, deny the fundamentals of monotheistic faith and ARE considered illegitimate. Of course, much confusion has grown out of this general concept. Despite all this, a moral non-Jew who believes in G-d is a respected and elevated being in the eyes of Judaism. 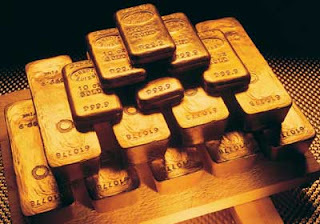 He or she has a share in the World to Come (Tosefta, Sanhedrin 13:1, Rambam: Mishneh Torah, Hil. Teshuvah 3:5; Meiri on Sanhedrin 57A; et al.). Righteous gentiles are even called "priests" (Midrash: Yalkut, Kings II, 296) and "pious ones" (Tana D'vei Eliyahu Zuta 20:6); and according to some, they will return with the resurrection (Pirkei D'Rebbi Eliezer 34; according to the other view, they will remain in a state of bliss in the World of Souls and not return to this plane of existence). Righteous gentiles are rewarded for fulfilling G-d's commandments (Talmud Yerushalmi, Peah 1:1); G-d recalls their merits (Yalkut: Tehilim 643); they have a share in Gan Eden (Zohar, Pekudei); and all references to punishment of the nations does not apply to them (Midrash Shochar Tov , Psalm 9; a similar statement can be found in Rashi on Sanhedrin 105A). Furthermore, the Talmud states that a non-Jew who studies Torah is comparable to the Kohen Gadol /High Priest (Avodah Zara 3A, Bava Kama 38A; this refers to the parts of Torah that apply to him, such as the Seven Noachide Laws and the basics of faith and theology). And, of course, all mankind is equally created "in the image of G-d" (Pirkei Avos 3:14), and Hashem is concerned about all people and all creation. "V'rachamav al kol ma'asav . 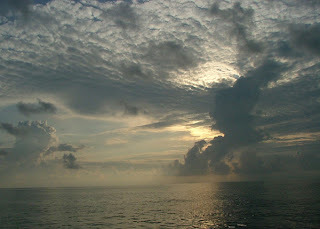 . . His compassion is upon all of His works" (Tehillim 145:9). R' Yehoshua ben Levi (Bereishis Rabbah 26:2) states on the verse "G-d will wipe away the tears from all faces" (Isaiah 25:8): "This means from the faces of Jews and non-Jews alike." There are countless quotes of this nature, and we could go on all day, but suffice it to say that the distinction between Jews and non-Jews is often oversimplified. Yes, a distinction exists – but how that distinction is defined often leads to negative consequences. 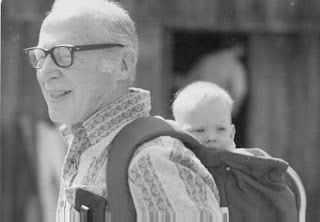 Generations upon generations – thousands of years! – of persecution, as well as the desire to avoid alien and undesirable influences has caused many Jews to lose track of the universalist side of Judaism. We are products of a galus-mentality that, combined with our inevitable human failings, can develop into subtle (or even overt) racism and disrespect for other human beings. Like many other religious Jews I know, I wish that this was not the case, but unfortunately, too often it is. However, there always have been and still are many great leaders – for example, Chief Rabbi Jonathan Sacks of England in our generation – who "hear the music" and emphasize the universalistic message of Torah; while sadly, others are tone-deaf. This article on Revach L'Neshama (with no disrespect meant to the Gedolim it mentions) is actually a reflection of this problem. The late R' Ahron Soloveichik wrote: "From the standpoint of Torah there can be no distinction between one human being or another on the basis of race or color. Any discrimination shown to another human being on account of the color of his or her skin constitutes loathsome barbarity. It must be conceded that the Torah recognizes a distinction between a Jew and Non-Jew. 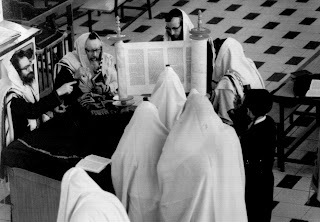 This distinction, however is not based upon race, origin, or color, but rather upon Kedushah, the holiness endowed by having been given and having accepted the Torah, Furthermore, the distinction between Jew and Non-Jew does not involve any concept of inferiority but is based primarily upon the unique and special burdens that are incumbent upon the Jews (Logic of the Heart, Logic of the Mind, Chapter 5, "Civil Rights and the Dignity of Man.") These ideas are stated repeatedly in the works of nineteenth century Rabbi Samson Raphael Hirsch, as well. I will end with a quote from a powerful section of R' Pinchos Eliyohu Horowitz of Vilna, Sefer HaBris (section II, discourse 13): "Our love of humanity should take no exception to any nation or individual. For man was not created for his own sake exclusively; rather, all men exist for the sake of one another. As a sage once said: "The world and all it contains was created for mankind, and within mankind itself, one person was created for the sake of the next, each to benefit the other." Therefore, not only does [love of one's fellow] apply to the Jewish people but to all mankind. We should love all nations and include all peoples in this universal principle, 'the stranger and native son' alike, all who inhabit the earth." May we soon merit to see the day when all people will serve Hashem as one! "I Was Very Taken Aback"
I have another friend who is a convert and a chasid. He said that the first time he picked up a particular sefer he soon read a comment about the Umos haOlam's which was difficult to take....and put the sefer down for several years in protest. Only later did he learn context which helped him assimilate the concept. Each person must resolve any conflicts which exist between the different parts of his character. He must also develop a harmonious approach to his life experiences as a whole, so that it makes no difference to him whether things are seemingly good or bad: he will always find Hashem in everything. A husband came to the Sanzer Rav, the Divrei Chaim, to ask his advice about their domestic squabble. "My wife refuses to use olive oil for the Shabbos lights because her mother never used olive oil," the husband complained. After hearing them out, the Divrei Chaim said, "Our Sages instituted the kindling of the Shabbos lights in order to promote domestic peace. How can Shabbos lights be a source of bickering to the point of causing the break-up of a marriage?" Then he ruled, "The Sages placed the duty of kindling the Shabbos lights primarily on the wife. Therefore, the wife's custom should be followed, and she is not required to kindle using olive oil." "Not Really So Different Than Non-Religious Materialistic People"
Chabakuk Elisha: You are absolutely right. It seems that there are two "tracks" in Yiddishkeit when it comes to these issues in Yiddishkeit. For the person who is bogged down in the ego, he must be motivated to serve G-d by rewards and punishments -- like a child who doesn't know the dangers of playing in the street or the intrinsic reward of certain good behaviors. For the person who has attained a bit of da'as, there is what the Chovos HaLevavos calls "motivation from intellect (or enlightenment)." Many years ago I asked Rav Eisenblatt, a"h, the Mashgiach of my yeshivah, how ostensibly frum people could be so detail-oriented about mitzvos but lack rachmonus and compassion for others. "Isn't rachmonus and sensitivity to other people what the Torah is all about?" Then he explained: "These people are not really so different than non-religious materialistic people. It is just that one day they suddenly realized that Hashem truly exists and they had better straighten out! So now they became a little smarter. But their basic self-centered motivation did not change. "However, through the kedushas ha-Torah, they, too, will get beyond this and begin to serve Hashem and do mitzvos l'shmah (for the intrinsic worth of the mitzvos)..."
As a Lubavitcher, without a living Rebbe in command who do you go to now for personal guidance and direction? The answer to your question is one of a very personal nature. Though I gladly answer it, my answer must be viewed in the light of an individual Lubavitcher's feelings and thoughts, based on the unique combination of events that have composed the story of his life -I can answer only for myself. 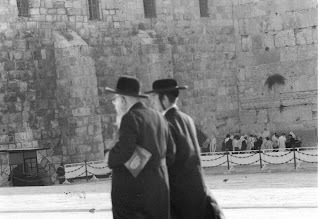 What is more, my experience with the Rebbe is one who never merited to see him with physical eyes -I was both too young before the histalkus in nun daled, and in any event did not come to Chabad until I was older. 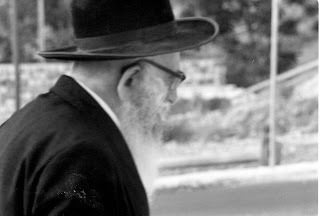 The connection between a Rebbe and chossid is one of the deepest love possible -the Frierdiker Rebbe once remarked that had Shlomo Hamelech been a chossid, he would have written Shir Hashirim about the love between a Rebbe and chossid, not a husband and wife. Before Yechidus, private audience with the Rebbe, chossidim would fast, say tehillim, and prepare themselves spiritually. 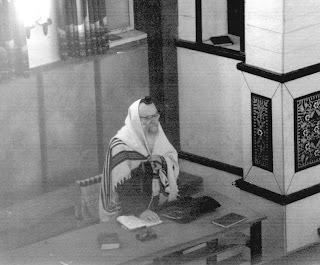 R' Moshe Vilenker, a chossid of the Alter Rebbe, spent three years preparing himself for Yechidus, and then spent an additional seven years in Liozna bringing the Yechidus into practical application in his Divine service. 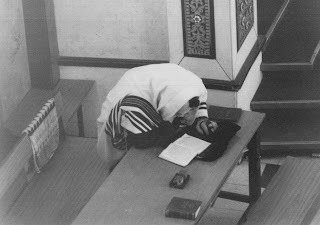 After the Rebbe's heart-attack, on Shemini Atzeres, 5738 (1977) the Rebbe insisted, despite the assumed risk to his health, that he keep up his correspondence personally in order to properly dispense advice. 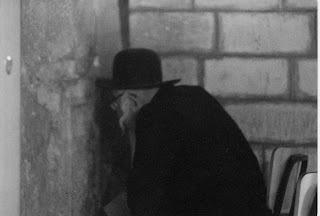 Even after the Rebbe stopped 'Yechidus', he made himself available for consultation in other ways -most notably by standing for hours while giving out dollars on Sundays. All this being said, it is clear then that the bond between Rebbe and Chossid is one of great importance and power, and that going to a Rebbe for advice is something integral to Chassidus - both for the Rebbe and the Chossid. Well before Gimmel Tammuz, the Rebbe made clear how Chassidim should seek advice . . . The Rebbe commented at times that by listening to the Farbrengens, all of one's questions could be answered as if via Yechidus. Even more so, the Rebbe Spoke about 'Asei Lecha Rav', the obligation to make a Rav, a Mashpia, for oneself. 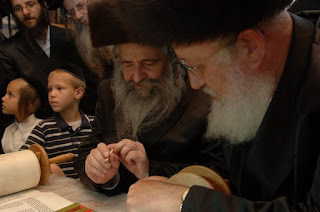 It is related that after the Rebbe spoke of his desire for people to find personal mashpi'im, an elderly chossid found a chossid even older then him to be his mashpia. This then is how I seek guidance, by consulting my mashpia - an individual who I trust for advice and seek consultation in all serious matters. As well, I gain inspiration and guidance from the Rebbe's own words, through his sichos, ma'amorim, and letters. In truth, however, the bond between Rebbe and chossid is such that even in light of the current situation, the Rebbe is still accessible. 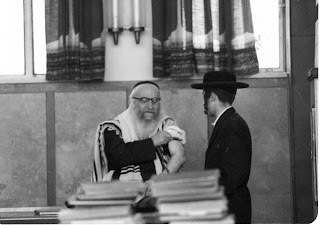 In a recent post on my blog, I mentioned the recollections of a certain Chossid whose father was in Paris with the Rebbe during the outbreak of the Second World War. Though at the time Paris was relatively safe, dark clouds loomed on the horizon, and this Chossid was not sure if he should leave Europe and abandon the successful business he had, starting anew in America, or to remain behind. Seeing as how the Previous Rebbe was stuck in Nazi controlled Poland, he approached the Rebbe (at the time known chiefly as the PR's son in law) and asked him for advice. "Shrieb a briev tzum Rebbe'n -Write to the Rebbe," was the reply. The chossid was shocked, as all communications to Poland were seemingly cut off by the war, and the Previous Rebbe had gone into hiding in the Warsaw Ghetto. 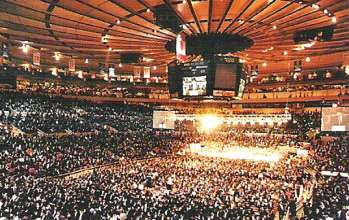 "The Rebbe doesn't need a letter, telegraph or phone call. He can reach you without all of these thing." The story ends with the Chossid sending a telegram, despite the scoffing of others, and the next morning waking up with a clear conviction to leave France as soon as possible. 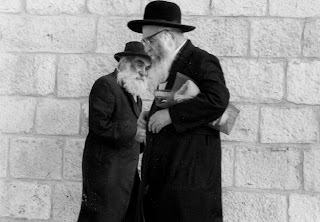 The answer regardless, the point I wish to bring out is the that the bond between Rebbe and Chossid is one beyond the barriers of time and space. The Alter Rebbe, the Ba'al Hatanya v'HaShulchan Aruch, writes in Igeres Hakodesh of Tanya about the saying of the Zohar, that a Tzadik is found in this world even more so after his histalkus. Until the hilulah, he is located within the bounds of a physical body; after, however, he is accessible beyond all limitations. By visiting the places where the Rebbe was: his room, his shul, and his ohel, we reforge a connection -each in his own way. 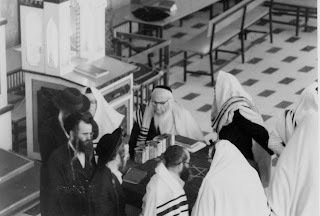 Stories are well known of the continued connection between the Rebbe and Chassidim. I can only relate what I have myself experienced -how during times of atzvus, when I have felt low, a sicha being played in yeshivah has been the answer to my problems, or letters that I have read upon coming to particularly difficult situations. My friend, when pondering if he wanted to go to Poland (which he ultimately did with me), came out of the Ohel to find a video playing about David Chases' conversation with the Rebbe about helping the Jews in Poland. May we merit to see Yeshuos b'kerev ha'aretz, with Moshiach now! 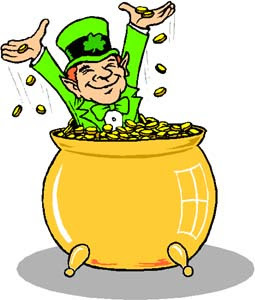 "The Pot Of Gold At The End Of The Rainbow"
Is our focus supposed to be on the rewards package after checking out of here after 120 years? This entire premise just pushed all my buttons – am I a child that I must be tricked into being a good boy? Is Yiddishkeit some kind of a game all about collecting the most brownie points? I think that reward gets too much airplay. I can just see it, "Well maybe I should smile at this old woman and say hello after all, you know I will have more of a reward in Olam Haboh, so it really is in MY best interest to do it." I think that all this emphasis on Olam Haboh has become confused. "Hard to say which came first, the spiritual void or capitalism's rush into it. Did the bar mitzvah party industry arise to warm up an event that had already gone spiritually cold, or did the party planners and souvenir merchants corrode what had been a simpler, more earnest affair?" Mark Oppenheimer's book "Thirteen and a Day: The Bar and Bat Mitzvah Across America" provides insight into the observance of this ritual in 21st Century America. After reading it, however, I realized how out of touch I was with the majority of American Jewry. My thought about bar mitzvahs today can be found here. 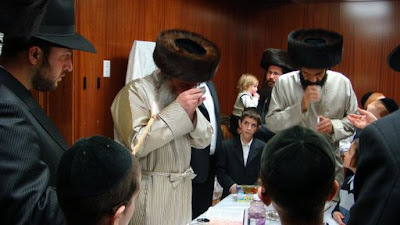 Chabakuk Elisha's reflections on his son's bar mitzvah can be found here. 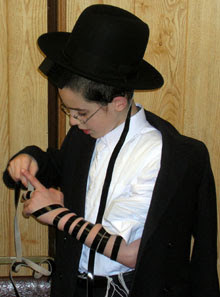 For a pair of superior quality tefillin see Sofer of Tzfat's website here. Here in America, Chassidus has changed. 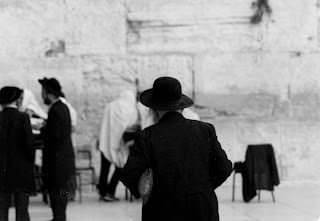 It has become a mitzvah to travel to one Rebbe, and the disparage another. I am not looking for that mitzvah. 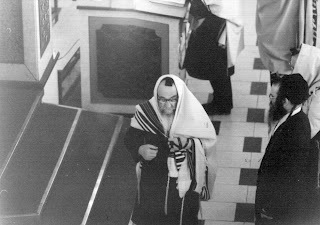 "... to be devoted by the people of these States to the service of that great and glorious Being who is the beneficent author of all the good that was, that is, or that will be; that we may then all unite in rendering unto Him our sincere and humble thanks for His kind care and protection..."
"Is Your Rebbetzin Perhaps Here With You?" The sage with the shining face alighted from the train, drawing glances of admiration from the waiting crowd. His radiant countenance, his regal bearing, his warm smile combined with the brilliance of his words to draw the adulation of Yidden everywhere. He was a respected Rosh Yeshivah, an influential community leader, a passionate voice in the halls of the Polish parliament on behalf of Jewish causes, a rav of one of the most celebrated kehillos in Poland. What made him a household name, however was the ingenious and innovative plan that he had conceived: a plan that had drawn Yidden everywhere closer to each other and to the words of Torah that had been their spiritual sustenance for so long; the Daf HaYomi. The people thronged around Rav Meir Shapiro and lined up to introduce themselves as he smiled warmly, sharing and encouraging word with each. One of the Yidden in the train station that day was a distinguished young rav, who took the opportunity to say "Shalom" to the Lubliner Rav. He introduced himself as the son-in-law of the Shotzer Rebbe, a name close to the heart of Rav Meir, who had grown up in the town of Shotz. Reb Meir looked at him thoughtfully, and asked a strange question. "Is your Rebbetzin perhaps here with you?" The young talmid chacham replied that in fact she was. Reb Meir said that he wished to speak with her. The young man hurriedly called over his wife. The Lubliner Rav stepped to the side and lowered his gaze, and for a moment, the look on his face was like that of a child. He addressed the woman that stood before him. "Do you recall how as a small child I would learn with your father, in your home?" The woman replied that she remembered those days very well. "Do you recall how I would play with your siblings and yourself?" The woman again replied in the affirmative. Only a most astute listener could have discerned the slight tremor in the Rav's voice as he continued. "Do you recall how I would share my grandiose plans about how one day, all the Yidden in the world would learn the same daf of Gemara, a Daf HaYomi, and thus be connected in the most powerful and meaningful way? And maybe.." the Rav's voice dropped to a whisper, "you recall how all the children would laugh at the idea, and mockingly call it my 'dach hayona,' deriving immense satisfaction from the joke?" "Do you know that I came very close to losing confidence in the place and dropping it entirely as a result of those taunts? This is the reason that I asked to meet with you… I wanted to tell you one thing. Never laugh at the dream of a child."